I have been trying to avoid posting more than once per day, but I have already broken my rule once today for the recent Oubliette 7 announcement. So I might as well break it again, right? That sounds fantastic. This is by far the OSR product I am most looking forward to right now. More than that, Eero (design/layout guy for the project) linked every hex on the maps (and the room numbers of the Fungoid Gardens map) so clicking on it goes straight to the entry in the body of the book. 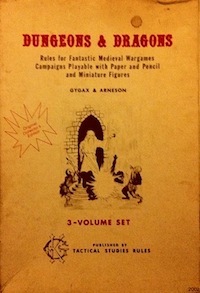 I’m particularly excited because I missed the original release (being blissfully unaware of the OSR at that time). This entry was posted in Spotlight on December 1, 2011 by Necropraxis.